A child can miss his meal but he can never miss his playing time at the playground. Every kid loves to explore different play sets and enjoy with his friends. But bad weather hampers their fun time in the park. Parents usually do not allow kids to go out and play in bad weather conditions and they hate being stuck at home. What you can do in such a situation is to take them to an indoor playground and bring the smile back on their faces. Most of the cities have indoor playgrounds. These parks install wide variety of play sets for the children. 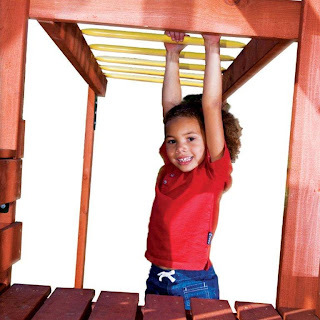 Your child can easily find his or her favorite play set be it see saw, dome climber swing. The owners of these parks ensure that the children get the same fun of the outdoor park in it. Before taking the kids to indoor playgrounds, make sure they have been designed with due safety consideration. A few items to check include surface. It should be properly covered with rubber or absorbent thick carpets that can prevent any injury from falls. Coming to the playground equipment, these should be placed well away from one another so that kids can get the enough space to run. Also, check that the play sets installed in this playground for kids, meet all the required safety and quality standards. For different types of commercial grade equipment, many indoor park owners prefer Playgrounds.net. They supply the equipment that is designed by Gorilla Playsets and Swing-N-Slide, for whom quality is the top most priority.